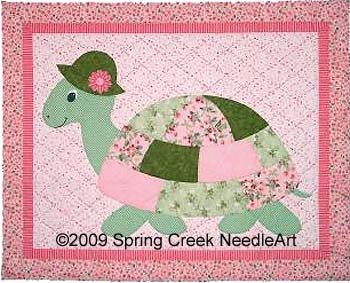 Appliqué this adorable pony and its rider for the nursery. 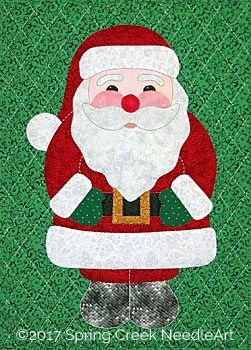 SKU: 2001. 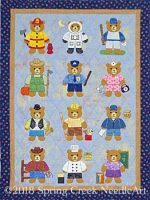 Categories: Children & Babies, Bears. 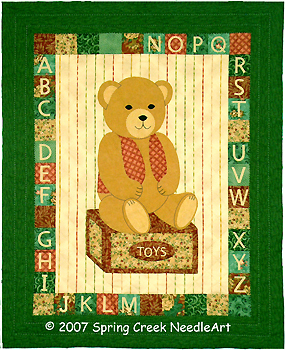 Tags: bear, rocking horse, wall quilt. 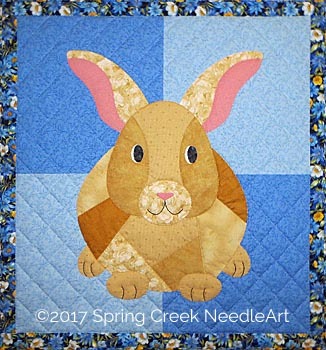 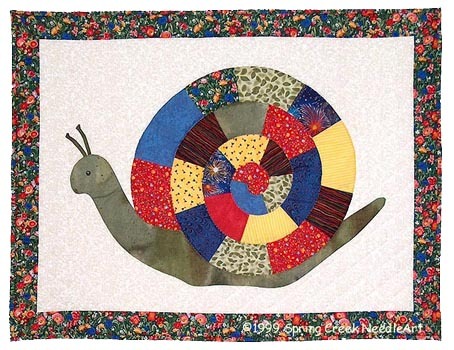 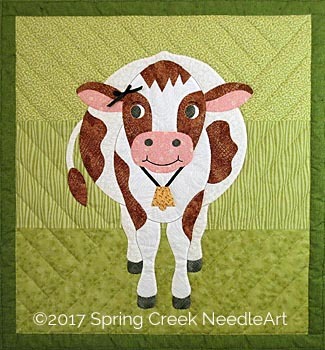 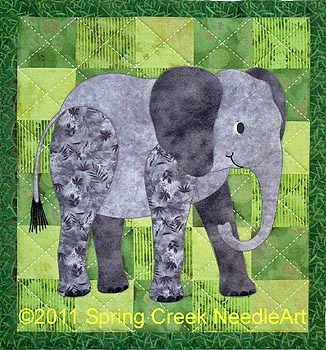 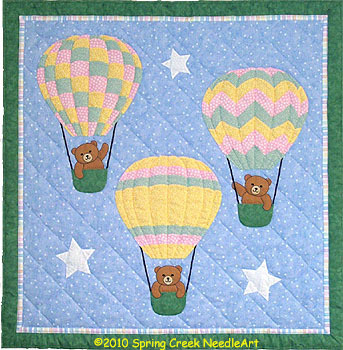 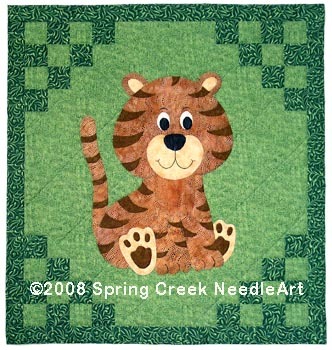 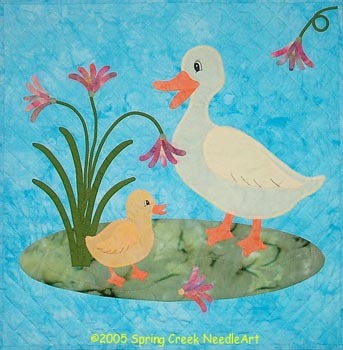 Use as shown for a wall quilt or add borders as desired for a crib quilt. 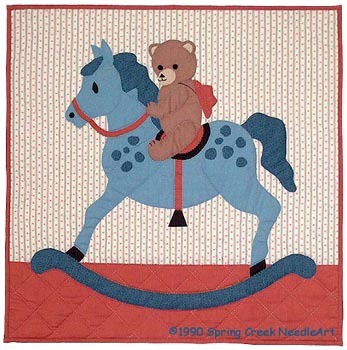 The bear can be omitted if you prefer just the rocking horse. 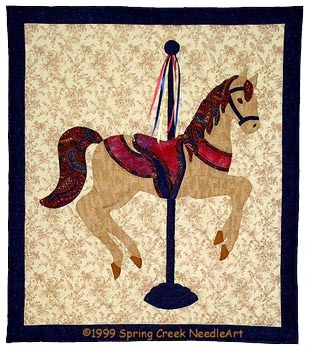 Great for the nursery with a western theme.